After years of significant experience at the Department of Justice in Washington, D.C., large national law firms, and non-profit, public interest litigation, in 1997, Roger Marzulla and Nancie Marzulla founded Marzulla Law LLC. Their goal was to offer the highest quality litigation services to individuals, combined with personalized service only a small firm can provide. 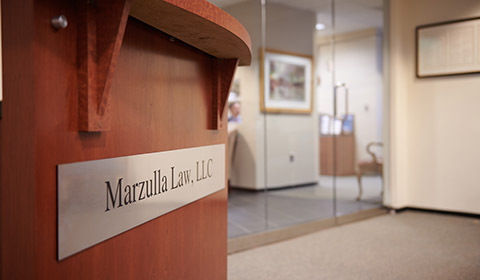 Today Marzulla Law operates to accomplish this mission–representing an array of landowners and business entities in takings litigation, breach of trust litigation, and contract claims in the U.S. Court of Federal Claims. Given their broad backgrounds in environmental law, the Marzullas also represent clients in environmental challenges brought in federal district court for such issues as NEPA, wetlands, and the Endangered Species Act. As a boutique firm, Marzulla Law provides clients with personal attention, bringing to bear decades of experience to provide clients with the highest quality legal representation available in firms of any size. The Marzullas are frequent speakers and commentators on legal issues including takings, Court of Federal Claims litigation, and environmental litigation. Marzulla Law attorneys are also often brought in or consulted by other lawyers for their extensive expertise and litigation support in Court of Federal Claims cases. Marzulla Law is proud to have been repeatedly recognized by Best Lawyers as a top tier firm in environmental litigation and listed in Super Lawyers. Marzulla Law is also an active participant in the INBLF, a network of national boutique and large international firms. It is a pleasure to work with Roger and Nancie Marzulla, of Marzulla Law. They have demonstrated the highest degree of competence and professionalism in their representation of our common client in its claim against the Federal Government. I look forward to their advocacy and guidance in the upcoming trial for damages. We’re devoted to accomplishing your legal objectives. As a boutique law firm, when you hire us, you can be confident that we will work directly for you in achieving your litigation objectives. We also work in close partnership with referring law firms, general counsels, and local counsel to handle large, complex litigation. Marzulla Law has decades of experience litigating in the U.S. Court of Federal Claims, federal district courts, and federal courts of appeal, including the Federal Circuit and D.C. Circuit. At the heart of any dispute is the client. Our team is committed to putting the needs of our clients first. We strive to deliver the highest quality legal services to any client we represent. When you work with us, our first priority is to listen to you, understand your objectives, and to understand your desired outcome. At Marzulla Law, LLC, we provide our clients with an exceptional level of service and believe a collaborative, attorney-client relationship is essential to success. Please call us at 202-822-6760 or complete the form on the Contact Us page to arrange a consultation.